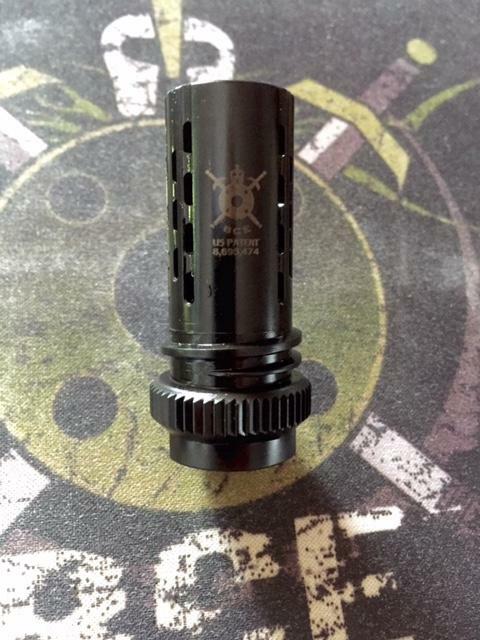 The BABC (Big A** Battle Comp) is a multi-caliber compensator designed for your larger calibers from 6.5 Grendel, 6.8 SPC, 7.62 NATO to .300 Win Mag and keeps your muzzle just as flat. 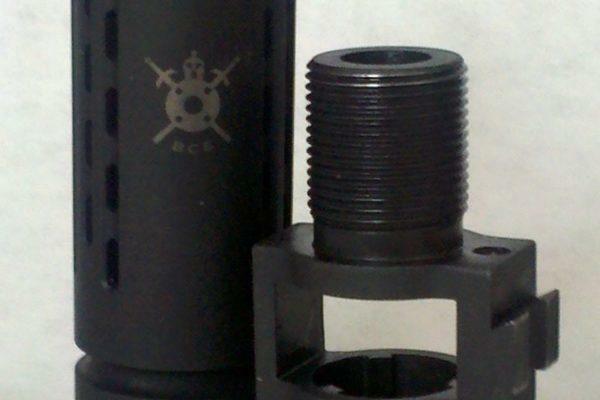 The BABC is compatible with .300 AAC Blackout. ALL BattleComp units are California Legal Compensators and have been since May of 2010. Available in three different thread pitches: 5/8×24 RH, 9/16×24 RH, and 1/2×28 RH. 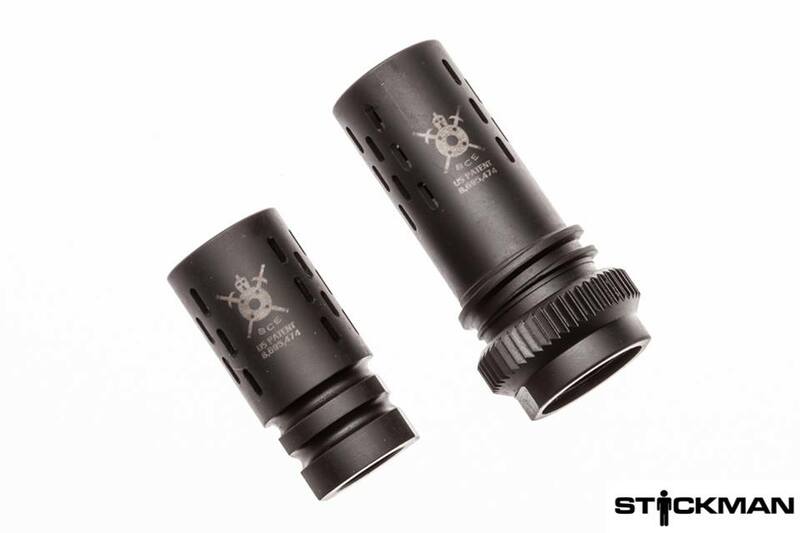 Just like our original BattleComp 1.0, the BABC (Big A** Battle Comp) is a multi-caliber compensator designed for your larger calibers from 6.5 Grendel, 6.8 SPC, 7.62 NATO to .300 Winchester Magnum and keeps your muzzle just as flat. The BABC is also compatible with .300 AAC Blackout. 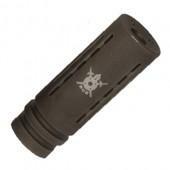 The BABC is 2.62″ in overall length and weighs 2.8 ounces. Crush washer included. ALL BattleComp units are California Legal Compensators and have been since May of 2010.